Here you’ll find every science, technology, engineering, arts, and math (STEAM) camp that we offer in 2019. Montana Learning Center provides campers participative science experiments and projects, activity-based math, educational games and simulations, exploration of the intersection of art and science, and thrilling field trips. Our students learn how to ask questions and wonder out loud. All students entering grades 1-12 are welcome to JOIN US! Most camps take place at Canyon Ferry Lake where campers have fun fishing, kayaking, boating and swimming. Beginning this summer, campers will experience the wonder of the night sky and learn about astronomy at the largest public telescope in Montana, located on our campus. Weather permitting, students will observe the Moon, galaxies, nebulae, star clusters and safely observe the Sun. Extreme Yellowstone Expedition gives campers an exciting STEAM experience within the Yellowstone National Park ecosystem. The Lewis and Clark camp takes place on and around the Missouri River. An all-girls camp provides a unique learning environment that encourages interest in science. Students in primary grades 1-3 can experience a four-day, day-only, camp. Campers are bussed to the Montana Learning Center at Canyon Ferry Lake from Helena, Monday through Thursday. Themes range from engineering in nature to making music. Lunch and snacks are provided. Camp YNA is a five-day, overnight camp for students entering grades 4-6. Campers arrive on Sunday afternoon and leave Thursday afternoon. Students are involved in STEAM activities and recreation. They spend their time exploring the fascinating world of science. Campers can expect activities that challenge them to be curious and problem solve with other students. Camp Innovations is a five-day, overnight camp for students entering grades 7-9. Students arrive on Sunday afternoon and leave Thursday afternoon. Students are involved in STEAM activities and recreation. They spend their time exploring the fascinating world of science. Campers can expect activities that challenge them to be curious and problem solve with other students. Each camp features exciting field trips and tours in the Canyon Ferry Lake area. Yellowstone Expedition is a five-day, overnight camp for students entering grades 7-9. Students arrive Sunday afternoon and leave Thursday afternoon. The American Explorers Basecamp in Paradise Valley will be the hub for lodging, science experiences and a jumping off point for excursions to Geyser Basin, Yellowstone Falls and Lamar Valley. Explore the Universe is a five-day, overnight camp for students entering grades 9-12. Students arrive Sunday afternoon and leave Thursday afternoon. Campers study the universe with our state-of-the-art observatories, including Montana’s largest public-use telescope. They learn how to locate objects in the night sky, photograph them, and manipulate astronomical data just like astronomers do. Lewis & Clark Leadership Course is an eight-day, overnight camp for students entering grades 10-12. Campers experience the actual sites and scenes of Lewis and Clark’s Journey of Discovery. Activities include a canoe expedition through the wild and scenic Upper Missouri River, outdoor discovery training at the lake and in the Big Belt Mountains. We’re small and personal. Our camp staff is composed of certified teachers, many of whom are award winning. Our student to instructor/counselor ratio is 1:8. All of our instructors and counselors are CPR & First Aid certified. Thanks to the generosity of our donors, a limited number of scholarships are available. We are committed to making camp possible for everyone, regardless of ability to pay. 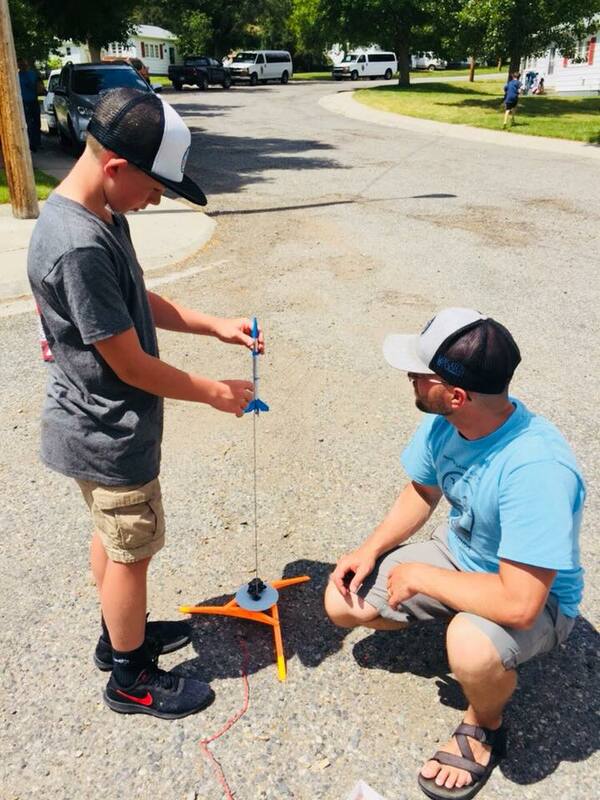 The Montana Learning Center has been chosen as one of 14 institutions nationwide as regional hubs for Apollo 50th Next Giant Leap Student Challenge, a competition for middle school and high school students. Kids are asked to recreate the historic Apollo 11 lunar landing. Check out this unique challenge and other aeronautic camp opportunities here.